As experts warn of the rapid spread of Lyme disease across the UK because of an increase in ticks, protests and public events are taking place around the world, including at Whitehall, to illustrate the lack of awareness about the disease and how it is spreading here. Lyme disease is the most common tick-borne disease in the Northern Hemisphere and there are concerns in the UK about the lack of public awareness, given recent warnings by leading animal health experts and parasitologists about a considerable increase in the disease-carrying tick parasite, posing a growing health threat to humans and their pets. The tick parasite which is commonly found in long grass and areas of dense vegetation, attaches itself to dogs, cats and humans. In the past, ticks were only considered a hazard in select parts of Britain at particular times of year. But because of our changing climate they are now prevalent year-round, across the country. Lyme disease in humans has increased threefold over the past decade, with up to 3,000 cases of Lyme Disease estimated to occur every year in people in England & Wales according to The Health Protection Agency. A recent study from Bayer Animal Health as part of their ongoing ‘It’s a Jungle Out There’ parasite awareness initiative reveals that more than one in ten pet owners surveyed have found ticks on themselves or a family member, and that 53% of pets are not treated for this parasite. The tick parasite uses highly developed mouthparts to pierce the skin and feed on the blood of its host. 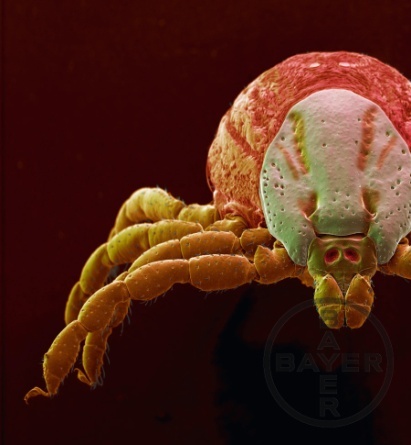 In humans, the first sign of Lyme Disease is commonly a circular rash around the area of the bite, and symptoms include fever, muscle and joint pain, tiredness and headaches. So how can you keep your dog, yourself and your family safe? Pet owners can also find information about the most common parasites in the UK at www.itsajungle.co.uk, where they can complete an online risk assessment. You can help spread the word by liking ‘Jungle for Pets’ on Facebook or by following ‘JungleForPets’ on Twitter. Normally ticks live on blood from larger animals, like deer, but they may also attach themselves to dogs, cats and even humans. The most important risk associated with ticks is the diseases they can transmit, eg. Lyme Disease in the UK and Ireland. This entry was posted in Health and tagged animal, dog, health, pet health, vets by admin. Bookmark the permalink.